An end table is a genuine need of every home to provide rest to your foot or to keep your things like books with you while you are on the bed. An 8inch height deck around the pallet bed is sufficient to serve as end table so there is no need to build an end table separately. So we are here to share a wonderful idea about DIY stacked pallet bed project. Stacked pallets can be easily get from industrial scrap or hardware store in your nearest surroundings. 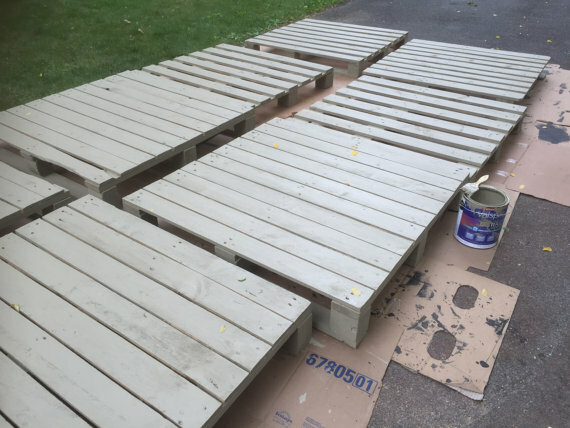 People often discard these pallets but you can do a lot with these pallets and can make many household items like furniture. When we talk about furniture the first thing click into our mind is bed because it’s a very dire need of our home to take a healthy night and rest as well. So don’t worry if you feel some budget issues. Again pallets are the most suitable to build your own bed as it’s an art of pallet readjustment. If you can spare few moments from your busy life schedule then you can make a bed for your home from stacked pallet. 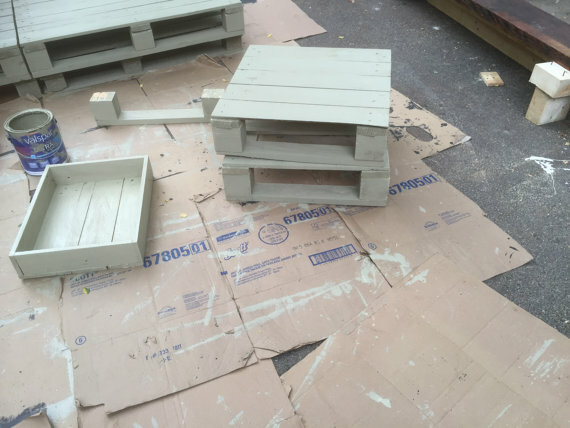 Here we are with some pallet recycling tips to build some household things from pallets. As you can see in the below picture, this pallet bed comes apart from 12 sections each 38 by 38 inch which can be fitted into any length and can be moved to any location. 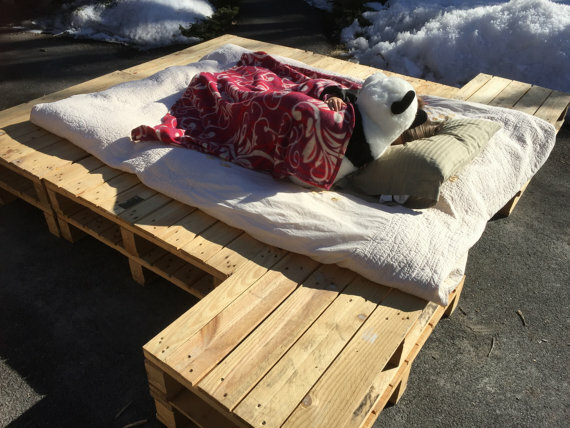 This pallet bed has been extracted by assembling the stacked pallets with each other following pallet bed instructions. 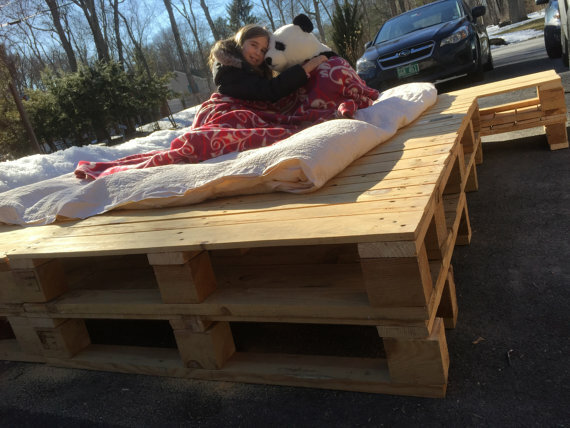 Here are some pictorial view of this stacked pallet bed project. 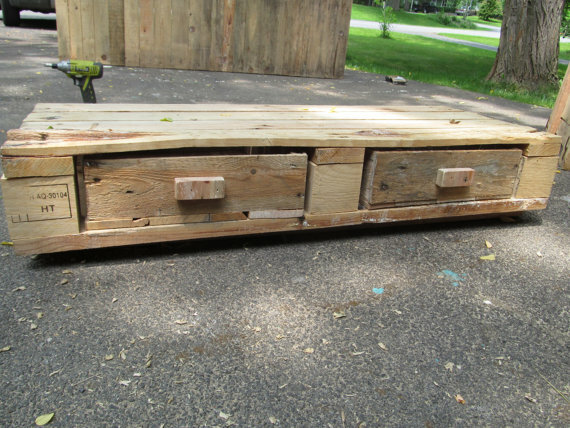 Furniture, PALLET PROJECTS DIY furniture, DIY PALLET BED. permalink.